Why aren’t we talking about physical therapy as an alternative to the opioid problem? Why isn’t it even a part of the conversation? I was listening to the Diane Rehm Show today on the Opioid problem and the CDC’s new guidelines and I recall no mention of pain education (not education on opioids) or hands-on treatment or exercise as alternatives for people who have acute and/or chronic pain. The problem with opioids is well documented. It’s basically taking Heroin in a pill. They can cause constipation, are addictive and people overdose on them and die. In 2014 more than 47,000 Americans died from a drug overdose. Yes, opioids can reduce your pain, but they do nothing to SOLVE the problem. 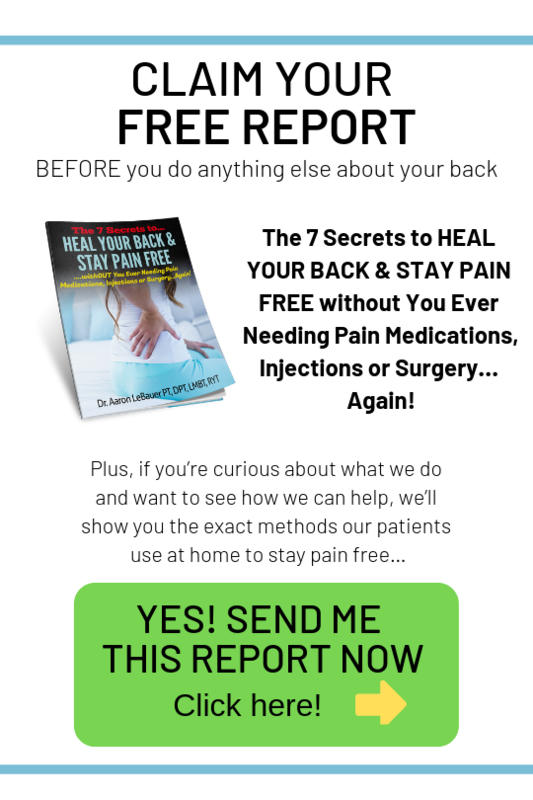 I think the statistic is that 50% of people with low back pain go see a physician and of these people 50% are prescribed opioids and only 7% are prescribed physical therapy or referred to a physical therapist! Most people don’t even know they can see a physical therapist 1st without a referral or prescription. Physical Therapy is a great option and in our practice you can see us directly without waiting to go see your physician or surgeon 1st. There is a lot of research that physical therapy, exercise, massage combined with pain science education is just as effective if not more so than medications, injections and surgery. The trouble is most people think their problem will be solved with a pill or that there is a quick fix. Physical therapy can be quick and easy, but only if people know ALL of their options and patients get to a physical therapist 1st or within a few weeks rather than after surgery or month and years later. 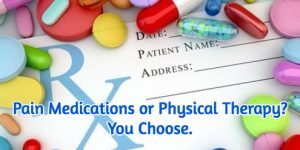 Opioids or Physical Therapy: Which would you choose? If you are living with pain, don’t want to take medications, want to stop taking them and want to do something else about it call our office today 336-271-6677 to speak with our pain specialist about your options. Thank you for the work you do and the options you provide. Thanks Sandy! I really appreciate your comment and compliment.